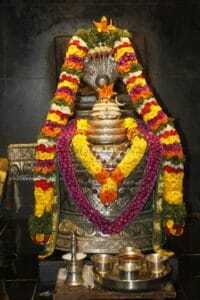 Karthik month is dedicated to Lord Shiva.The entire month is considered auspicious to seek the blessings of Shiva. Rudra Abhishekam is performed with milk, curd, honey, ghee, sugarcane juice, coconut water, bilpatra, flowers etc. This kind of abhishekam gives prosperity, achievement of all desires, eliminates negative forces, getting rid of negative karma and will give you immense joy and success in life.